Jim Mullin is the Executive Director of Leargas. He has worked in Leargas to try to encourage teenagers to become more politically-active and culturally aware. Susan and Heather had the chance to interview him. He talked about the mission of Leargas and their strategies for it’s future. Listen to “Interview with Jim Mullin, Leargas Executive Director” on Spreaker. 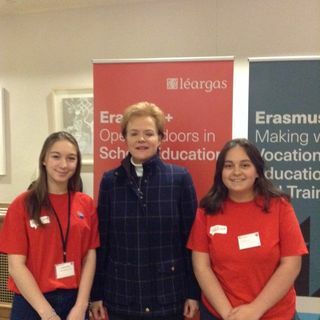 Ursula Halligan chaired the discussion with the panel members at the Leargas Forum. Until recently she was the political editor of TV3. She is a very successful with many notable credits. 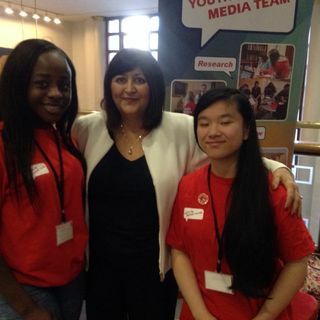 Hannah and Wiktoria had the opportunity to interview. They asked about advice for aspiring journalists. If you want to know more, listen to the podcast. Listen to “Interview with Ursula Halligan” on Spreaker. 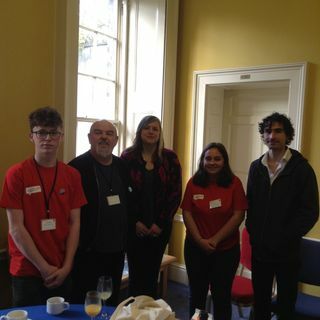 Wiktoria and Jack interviewed Peter Hussey and his members of the Crooked House Theatre Company. The group just opened up the Leargas Forum with an amazing performance. In his interview, he spoke about the formation of the company and the work they do. Listen to “Interview with Peter Hussey and his team” on Spreaker. 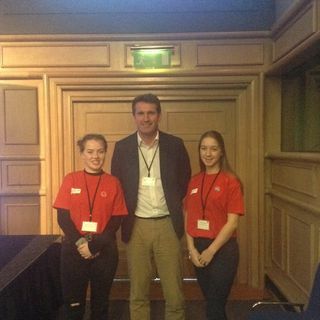 Heather and Hannah interviewed Senator Aodhan O Riordain about his involvement with leargas and this event. 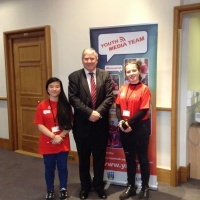 In the interview he told us his views on the importance of young people being being more cultraly aware. Listen to the podcast for more. Listen to “Interview with Senator Aodhán Ó Ríordáin” on Spreaker. Ms Barbara Nolan was until recently the Director of the European Commission Representation in Dublin. An Irish woman, she now works as the co-ordinater of the Erasmus+ Programme Unit in Brussels. This is a senior and very challenging job in the EC structure. Just before we spoke, Barbara gave the LEARGAS Forum Keynote talk; it was about the future of Erasmus+ and European unity. She spoke about getting teenagers involved in European politics and about how beneficial the Erasmus program is for partcipating students. We particularly liked her points about language opening up opportunities in the world. Listen to “Interview with Barbara Nolan – Co-ordinator of Erasmus Programme” on Spreaker. The Youth Media Team is at Dublin Castle today for the Leargas Forum 2017. It’s the 30th Anniversary of ERASMUS, so it is a big event. The full details of this exciting event are here. The Forum opened with a performace from Peter Hussey’s Crooked House Theatre Company; it was really thought provoking. Una Halligan the journalist will be chairing a panel later in the morning on ‘European Citizenship, 30 years on.’ And the keynote talk is from Barbara NOLAN who is with the co-ordinating unit or ERASMUS+ at teh European Commission. Plus there are loads of workshops and a Project Showcase for schools that have been working with Léargas over teh last year or so. It will be a busy and interesting day! Today’s reports are brought to you by Hannah, Susan, Jack, Heather, Vicki & Wictoria. Cat Herders: Ms Carey and Ms Revyakina.